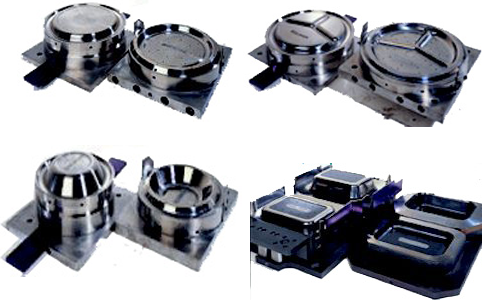 All tooling is designed and manufactured using state-of-the-art CAD-CAM-CNC technology. Plate and tray designs available in round, oval, square, rectangle, octagon, scallop, multi-compartment, and clamshell shapes and sizes. CNC… computerized machining and turning centers insure maximum accuracy and repeatability. 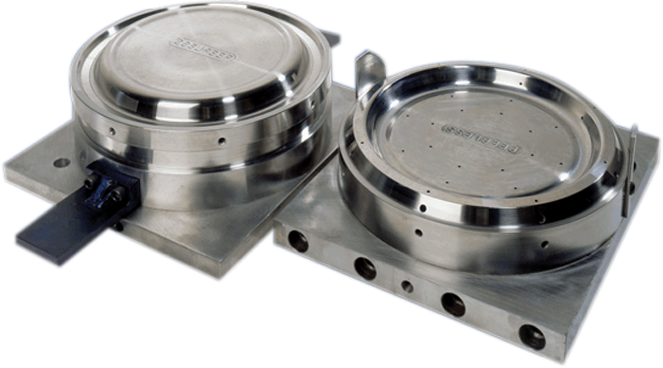 TOOLING… can be produced in cast iron, tool steel, or other materials, as required. EXCELLENT DIE LIFE… it is not unusual for Peerless tooling to be in service for over 20 years and rebuildable to extend its service life. FULL WARRANTY… all Peerless tooling is fully tested prior to shipment and is warranted against defects in materials and workmanship.